Layer up and look good in a jumper or cardiganFashionâ€™s all about the finishing touches and jumpers and cardigans are the easiest way to fix up your look. 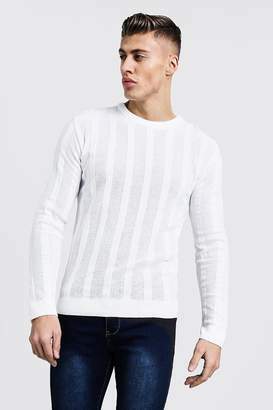 Keep it cool in cable knits, work it in waffle or do the finer details in a fisherman. Show off your style in a sharp shirt and shawl cardigan combo, finish off with brogues and youâ€™ll be up there with fashionâ€™s finest.